The best way to learn is by doing, and by giving your kids a bit more control over their allowance, they can start to make decisions about what to stash away in savings or put towards their goals. If your child has their own device, they can login to their accounts with login details you can create for them. No device? No problem! If they are sharing one with you or their siblings, you can also set them a PIN for accessing their account from the family login portal using ‘switch user’. Learn more. Once they’re in, your child can add their own personal touch by updating their profile’s theme to their favourite colour. Learn more. Is there something they want to save up for? They can add it as a Goal! They can even upload a picture to keep the goal in sight. As they save their allowance, and add to a Goal, they can easily see their % progress to reaching their target. Learn more. If your child has a cause they support, they can set aside some allowance in the Give pot. Then when they’re ready, they can make a donation request for you to fulfil. If their cause is on JustGiving, you can make the donation directly from the app! Learn more. 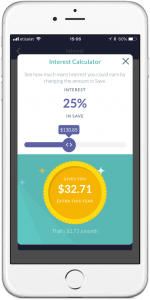 Whether it’s getting allowance paid in or finally finishing saving for that Goal, your kids can view their timeline of activity from their Progress section. A great way to reflect on all they’ve achieved in RoosterMoney! Learn more. 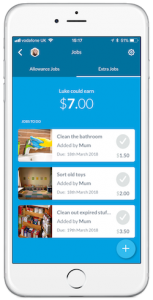 Your kids can ask Alexa to check their balance, chores for the day and even see how much they’ve saved or spent in the last week. Check it out.